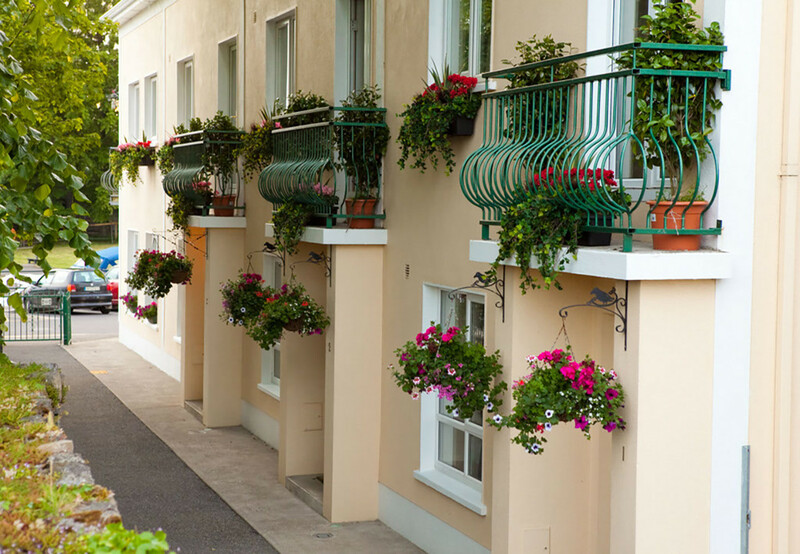 Carrick Self-Catering Holiday Apartements are situated in the centre of Carrick on Shannon, a beautiful town on the River Shannon, just two hours from Dublin and Belfast, with wonderful views of the marina and river. Carrick is a bustling town, now one of the most popular inland holiday destinations with a large selection of restaurants, bars, shops, nightlife and bustling marinas with 750km of cruising available the town is ideally situated at the gateway to both the River Shannon to the south and the Shannon-Erne Waterway to the north. 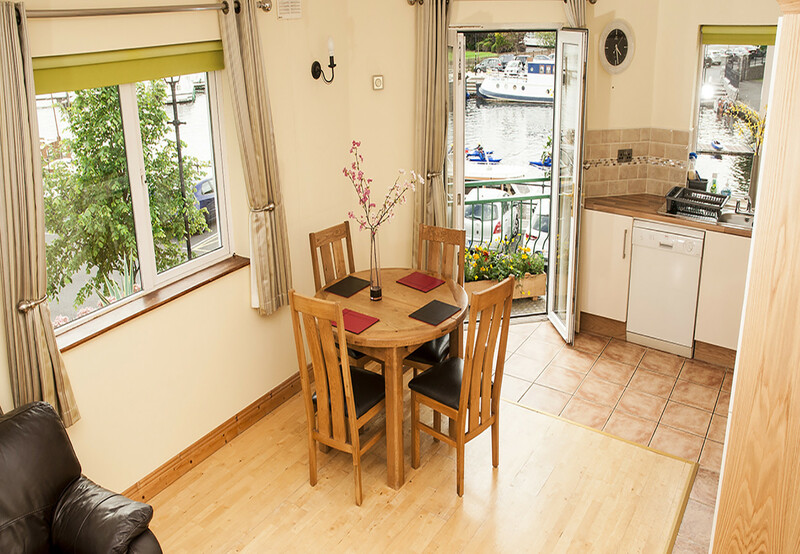 Carrick Self Catering are modern and spacious with wonderful views of the Shannon river. Each holiday home has a spacious open plan living/dining room plus a bathroom located on the ground floor. The open plan, fully fitted kitchen features an oven/hob, microwave, dishwasher, fridge and all the necessary kitchen utensils and crockery. 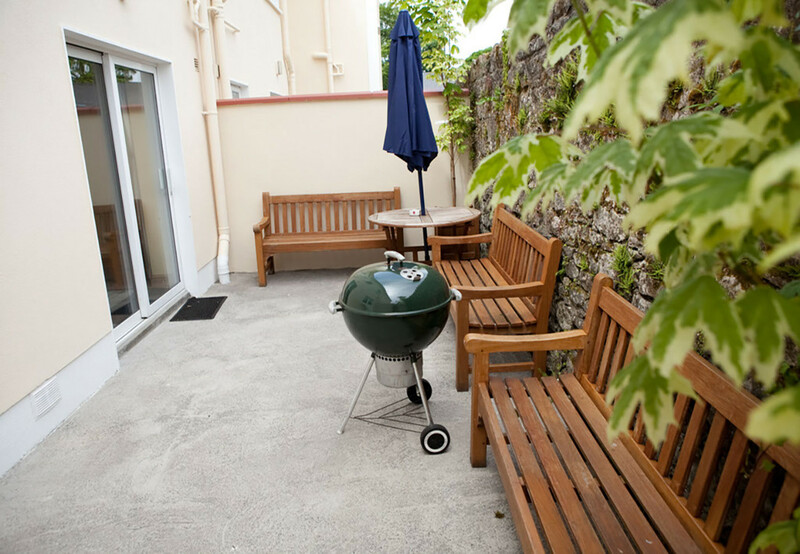 A private patio provides a secluded and personal space for all holiday guests. 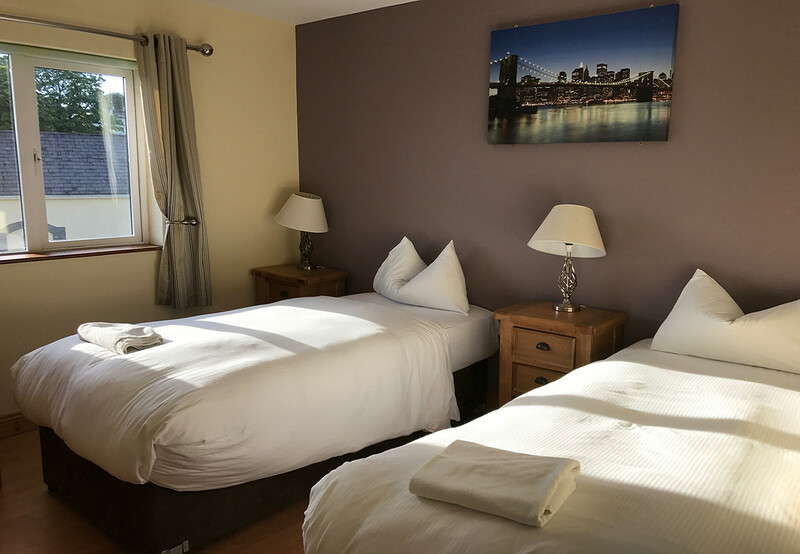 On the first floor there is one double en-suite bedroom and a triple bedroom sleeping three comfortably. Plus, there is an additional triple en-suite bedroom located on the 2nd floor. Car parking is available directly in front of each holiday home. Carrick on Shannon is the county town of Leitrim and the cruising capital of the Shannon. The beauty of the River Shannon & Shannon Erne Waterway can be easily explored from your holiday home as pleasure cruisers are available for day trips and for those who are not taking a cruising holiday. 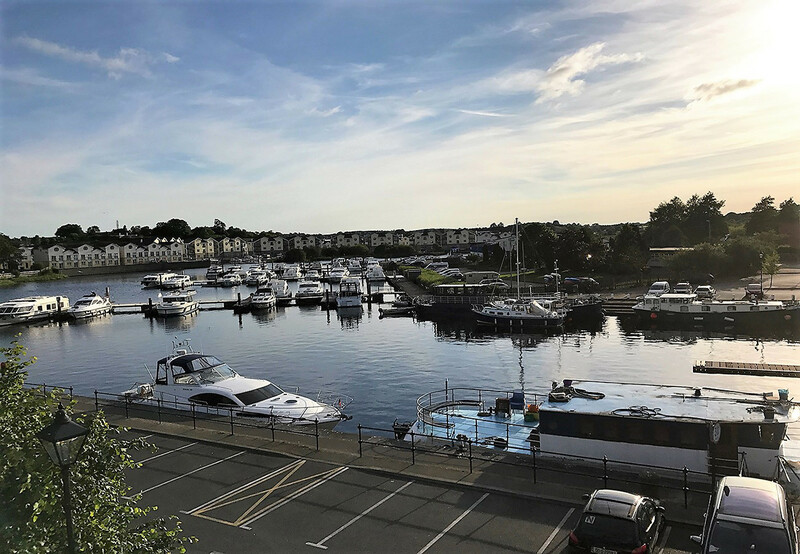 Carrick-on-Shannon or Carrick as it’s known locally, is also widely acknowledged as an Anglers paradise and within a 10km radius of the town there are no fewer than 41 lakes. You will be spoilt for choice with golfing, horse-riding, rowing, paintballing, high rope zipit, hill tumbling zorbing and lots more. 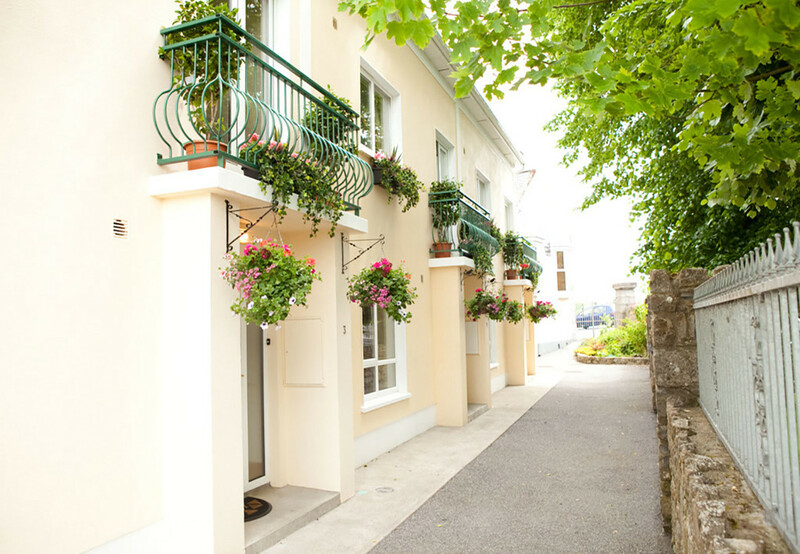 Important Note: Carrick Self Catering are fully booked every weekend for 2019 (Friday to Monday), however you can book the apartments on our website from Monday to Friday throughout the year. 1 Bathroom with bathtub, 1 Bathroom with shower. TV, garden, garden furniture, iron, internet (Wi-Fi), pet-friendly (Dangerous breed dogs not allowed), electric heating, Open-air parking in the same building.